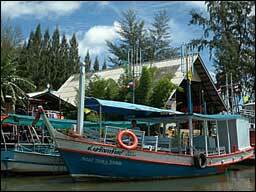 In the morning you depart for a trip of about 3 hours to the district Bang Saphan Noi. From there a ride by boat..
Its a beautiful underwater world to behold in a clear blue sea. Marvel on the many colorful fish and corals formed. After you have explored this place we will sail to Koh Talu, where you get a peaceful beach time for swimming and snorkeling. The lunch is served by the owner of the boat. 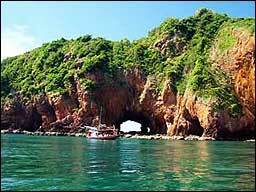 You can relax, snorkel, swim or just enjoy the natural beauty around Ko Talu, before your return. Early departure around 7.30am. Arrival in Bang Sapan area around 10am. Departure from Ko Talu to Hua Hin around 15.30pm. Arrival back in Hua Hin around 18.00pm. Included transfer, drinking water in the car, parking fee. Excluded entrance fee, boat ride, meals, personal expenses, etc.